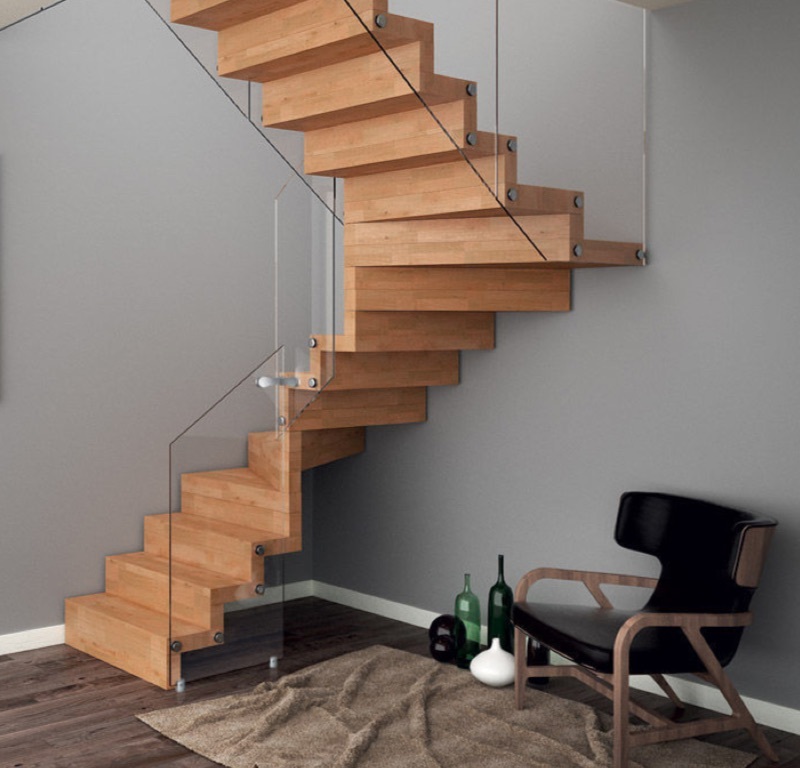 Insensation manufactures floating staircases with glass, wood or aluminum treads. 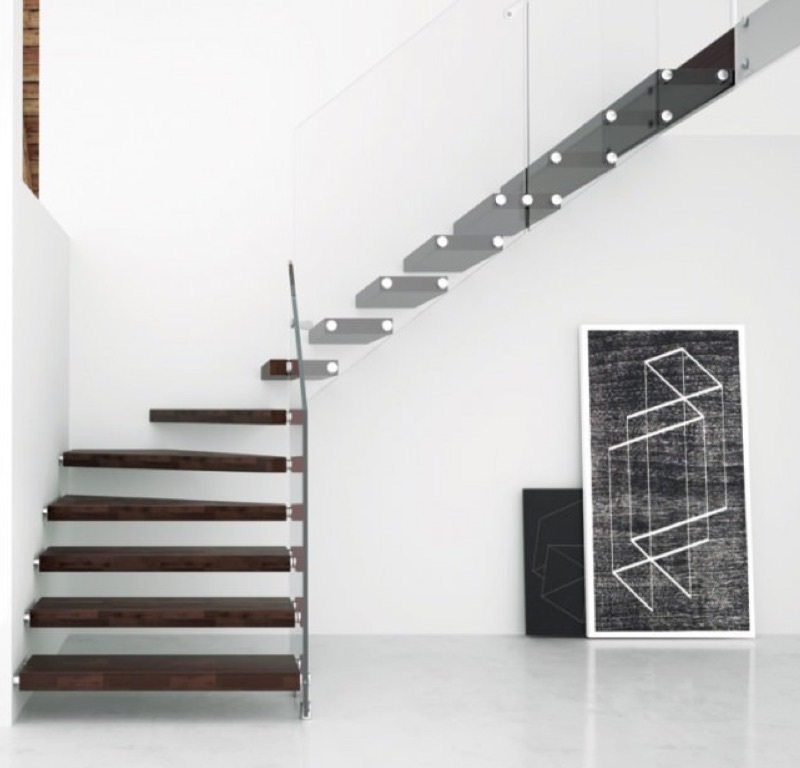 Each staircase is custom made in all possible forms. 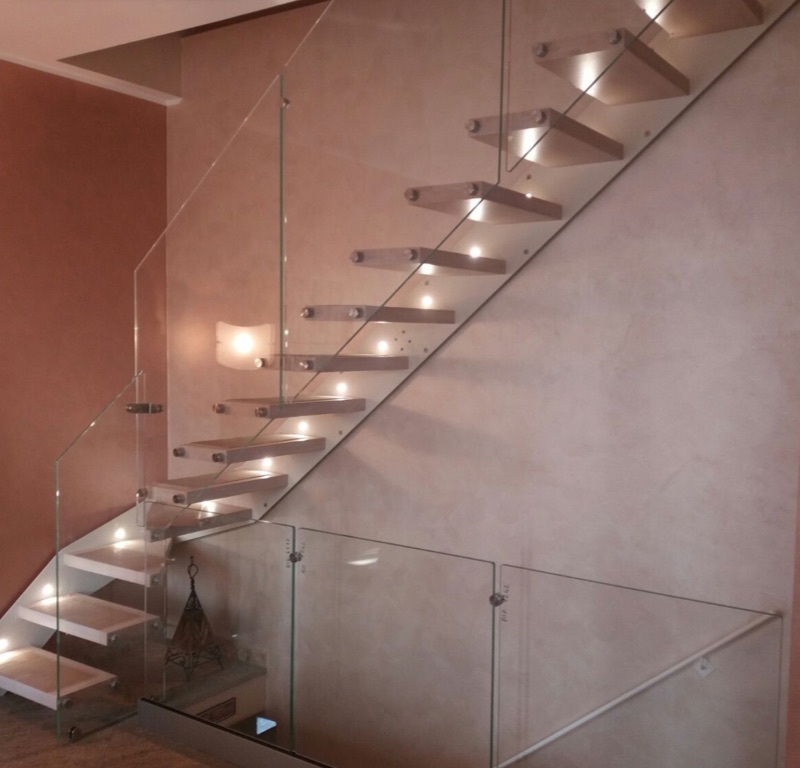 The railings are frameless glass, in some cases it is aesthetically more pleasing and cheaper to put a glass wall next to the staircase as a barrier. 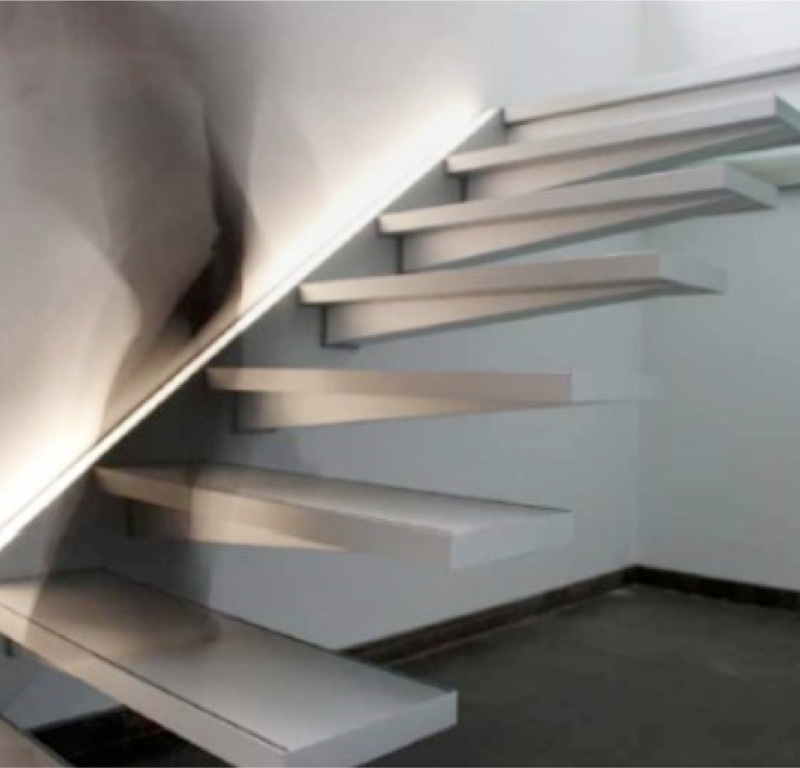 The steps are mounted directly into a solid wall and held by the glass railing. We provide a template for preparing the wall connections.